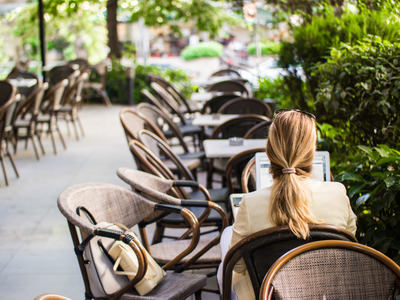 If you’re a woman in the tech industry, Atlanta might not be the best city to work in. 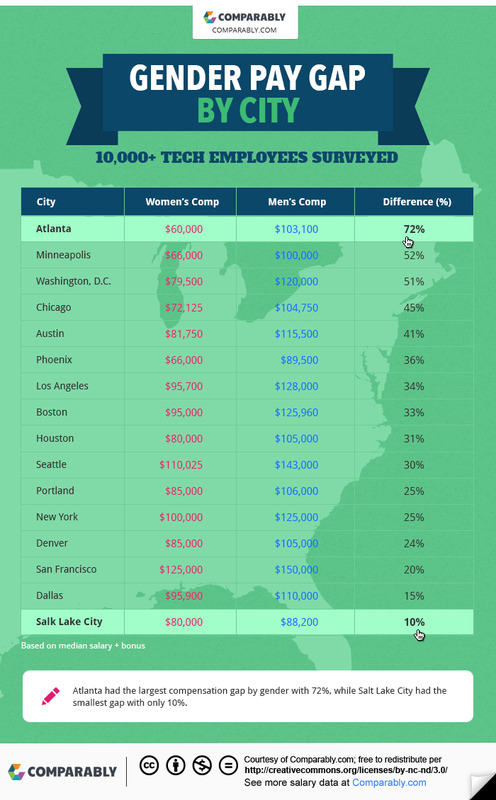 That’s according to data released by salary comparison website Comparably, which shows that female tech employees in the Georgia city don’t even come close to making what their male counterparts do. Comparably surveyed more than 10,000 tech employees who provided their gender, ethnicity, education level, location, tenure at their company, satisfaction level, and even how much equity the employees had in their company, CEO Jason Nazar said. For women in the tech sector in Atlanta, it’s not a pretty picture: women earn about $43,000 less per year than men on average, making the pay gap hopelessly wide at 72 per cent. And it’s not much better in the second runner up, Minneapolis, where the gender gap sits at 52 per cent. But other U.S. cities have shrunken the gap considerably. The median tech salary for women in Dallas is $95,900 compared to the men’s salary of $110,000, and women in Salt Lake City have nearly closed the gap: it’s only at 10% right now, and women are making $8,200 less than men. While cities like Salt Lake City show progress and provide some hope that things will improve in places like Atlanta, the fact that women are being shorted more than $8,000 a year at best and more than $43,000 at worst is problematic. And it’s worse if you’re a young woman: those who are just entering the workforce are making considerably less than men the same age.